Bos Rural, Farm and Life : Exclusion Fences - Six of the Best! 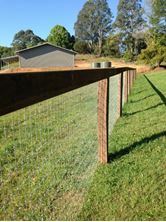 Exclusion Fences - Six of the Best! 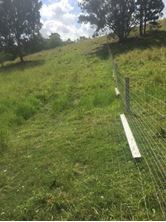 At BOS Rural, we have supplied many customers with a range of exclusion fencing for a range of projects from small to large scale accross Queensland. 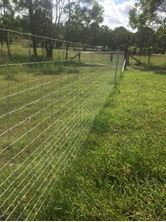 We have also done exclusion fencing on our own farm here in Kandanga for a range of animals. 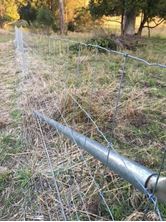 With the shift from barbed wire boundary fencing to mesh exclusion fences has come a steep learning curve with much trial and error. We won’t stock cheaper 2mm "hinge joint" type products which are popular due to price, and we only deal in Australian made wire (something we are passionate about). Vietnam, Indonesia and China all host "Australian" Wire Companies who either import direct from there or have their mesh machine here but use imported base product. Ask before you buy - you will be surprised! 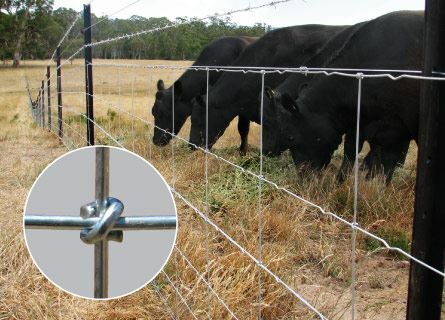 We use and promote Australian min 2.5mm exclusion fence wire because it doesn't need to be clipped to running wires saving time & complexity. 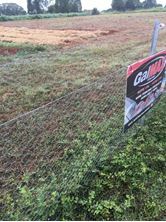 Line posts can be spread out using 25% less than thin wire alternatives and the resultant fence looks better, is stronger and lasts longer. A test run recently showed a saving of AT LEAST $1/M OR 20% on a 100m test section. Imported wire is generally lower quality and if rusting or weakening occurs, 2mm wire will break down in half the time. In high humidity areas, the Australian mesh wire we use costs an additional 8% for 5 times the galvanizing. Ask us about what is best for your and your property, and also for quotes on pallet prices. Prices quoted are pick up in store. Comes in 100m or 250m rolls. Size: 15/150/15 with or without a footer. Wire diameter - 2.50mm. Heavy Galvanising (5X standard) ensures longevity especially in footer wires (5). Comes in 100m rolls. 13/90/15 with or without a footer. Wire diameter - 2.50mm. Heavy Galvanising. Comes in 200m rolls. Size: 5/70/30. Wire diameter - 2.50mm. Standard galvanised wire. 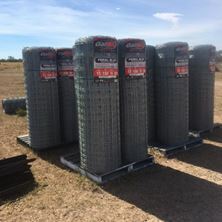 1.4mm heavy gal netting in 50m or 100m rolls. Size: 90/4/1.4 Wire diameter - 2.50mm. Galmax. Comes in 100m rolls. Size:12/120/15. Wire diameter - 2.50mm. Standard galvanised wire.